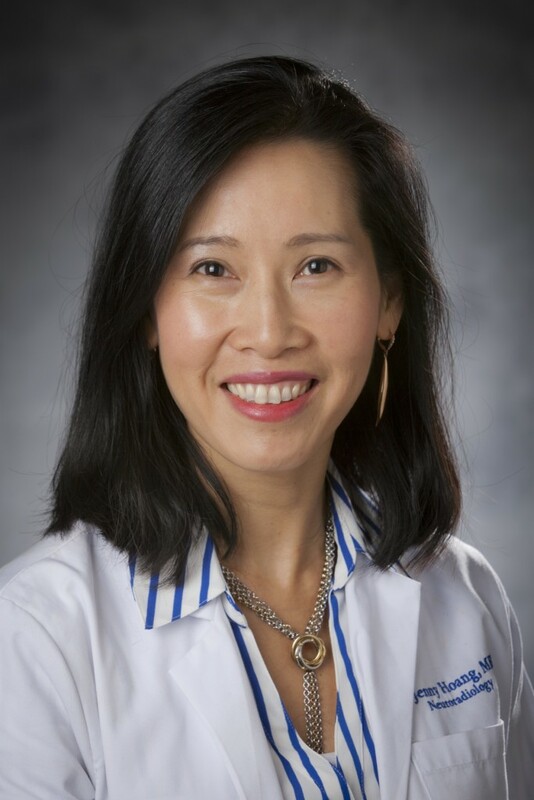 Dr. Jenny Hoang is an Associate Professor of Radiology and Radiation Oncology at Duke University Health System. Dr. Hoang earned her M.B.B.S. from the University of Melbourne, completed a diagnostic radiology residency at St. Vincent’s Hospital in Melbourne, Australia, and completed fellowships in neuroradiology and cardiothoracic radiology at Duke University Medical Center. Dr. Hoang has been on faculty with Duke University Health System since 2009 and is the Director of Head & Neck Imaging and Chair of the Grand Rounds Committee. Dr. Hoang is a lifelong learner – she graduated with a Masters in Health Science from Duke University in 2017 and is currently an executive MBA 2019 candidate at the Duke Fuqua School of Business. Dr Hoang is motivated by impacting patient care, and empowering and energizing other healthcare providers to do their best. Her career is accentuated by her strong involvement in research and education. She has published more than 100 peer-reviewed articles with a focus on thyroid and parathyroid imaging. She led the American College of Radiology (ACR) efforts in producing a White Paper on Incidental Thyroid Findings and was a core member of the ACR TI-RADS committee for thyroid ultrasound. She serves on several ACR committees including the Incidental Findings Committee. Dr. Hoang is currently funded as the PI for ACR’s Multicenter Thyroid Ultrasound Registry. She is a popular faculty lecturer at national and international meetings. She is also well known for actively educating and advocating on Twitter as @JennyKHoang. Functional Imaging With FDG-PET and MRI During Chemoradiation of Locally Advanced Head and Neck Cancer: Do Early Intra-treatment Changes Predict Treatment Outcome? Are There Mammographic Predictors Which Discriminate Between Atypical Ductal Hyperplasia And Ductal Carcinoma In Situ?